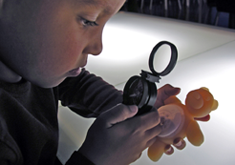 You would be surprised to know that many innovators seem to have the individual R&D components set up, but no overall guiding process. 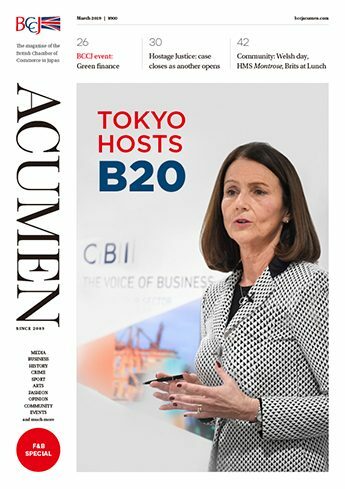 We believe the underlying economic dynamics in Japan, especially those related to demographics, will support a sustainable boost from hosting the Olympics. Autumn is a great time to get outdoors and enjoy nature. Tokyo has several prime viewing spots for enjoying the falling leaves. 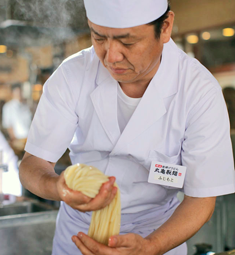 Toridoll Corp. has announced it will open the first British outlet of the Marugame Seimen udon noodle chain in London next year, The Asahi Shimbun reported on 12 September. 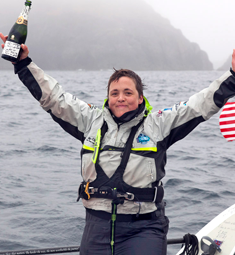 Sarah Outen has become the first person to complete a solo row from Japan to Alaska, NBC News reported on 25 September. 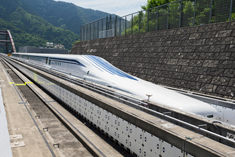 Central Japan Railway Co. has resumed trials for the world’s fastest magnetic levitation (maglev) train, while the UK is reconsidering its own high-speed rail projects, media reported on 29 August. 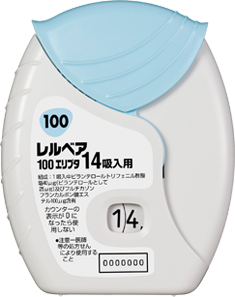 In a sign the pharmaceuticals market is opening up, Tokyo has approved three new lung drugs from Western firms, two of them British, media reported on 22 September. 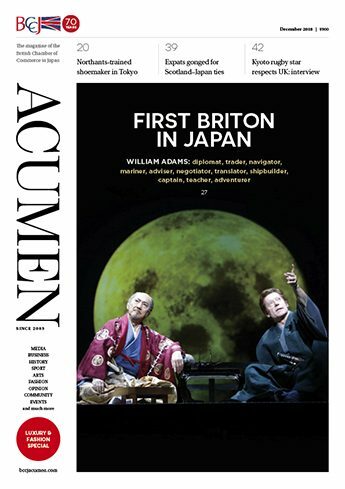 A British sculptor and architect were among the five recipients of Japan’s Praemium Imperiale award, The Independent reported on 18 September. The BCCJ has been invited to join wave two of the UK government’s new Strengthening Overseas Business Networks programme. 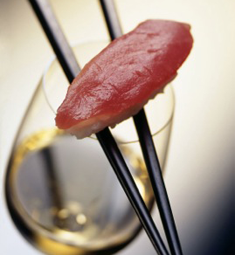 One approach to improving our national cuisine’s reputation would be to completely change the perception in Japan of our national dish. Fish and chips is an aberration in Tokyo. Not all BCCJ events are about business. Of those I have attended, the UK–Japan Defence Collaboration on 2 October was one of the most intriguing. 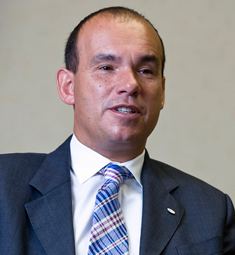 Halil Gunay, general manager of Turkish Airlines in Tokyo, believes airports in Japan need to consider operating on a 24-hour basis in order for the country to be competitive on a global scale. 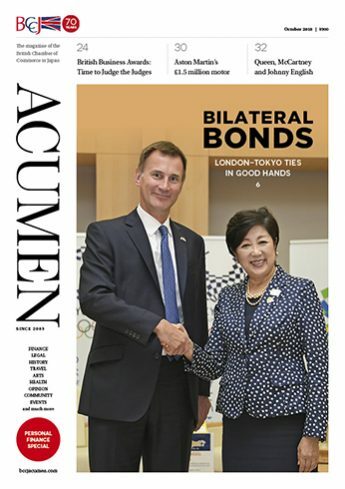 The invitation to the BCCJ from UK Trade & Investment to join the government’s Strengthening Overseas Business Networks programme has created a great deal of excitement. Sixty-five years of diversity, charity and business make the BCCJ better than ever. My regular visits to the outpatient department and the substantial amount of medication I must now take are significantly more affordable as a result of national health coverage. 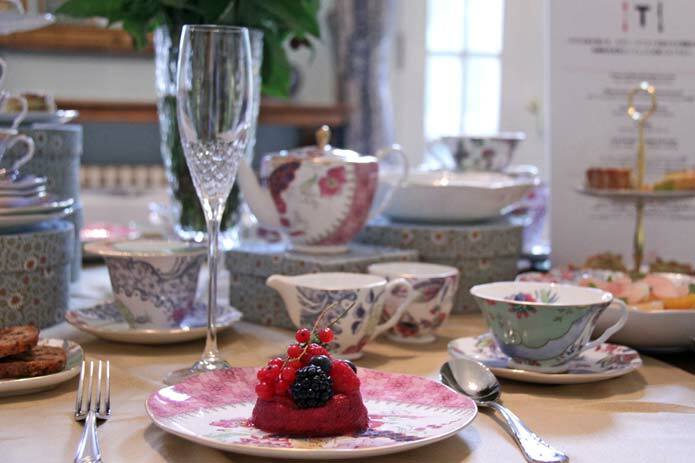 The exciting launch of Waterford crystal brings to the Japanese market some of the firm's most iconic crystal stemware, barware and giftware collections. Now that summer is over, the flu season is fast approaching. 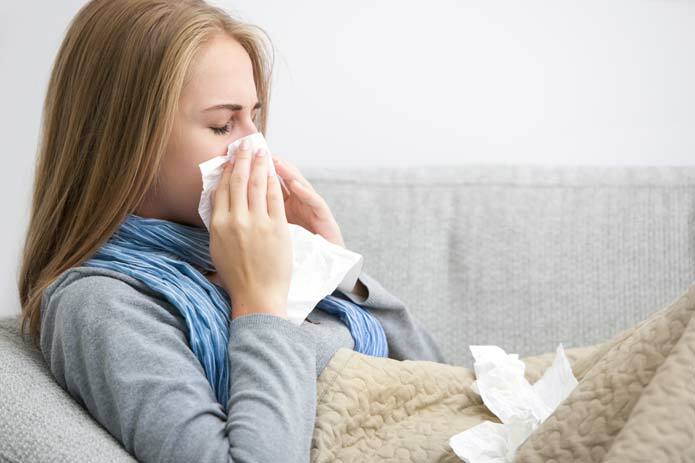 Here are some common questions regarding the flu shot I encounter in my daily practice. 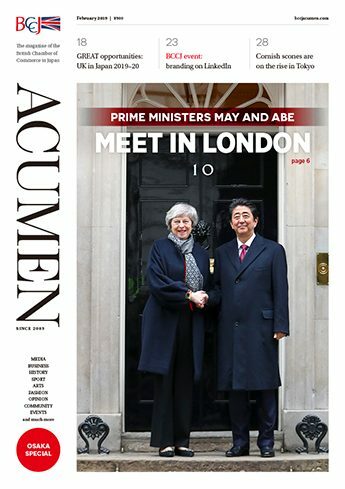 From London’s legacy to Tokyo’s future, the UK joins Japan in looking forward to the benefits of being an Olympic and Paralympic host nation. We were truly delighted to see Tokyo announced as the 2020 Olympic and Paralympic Games host city on 8 September. 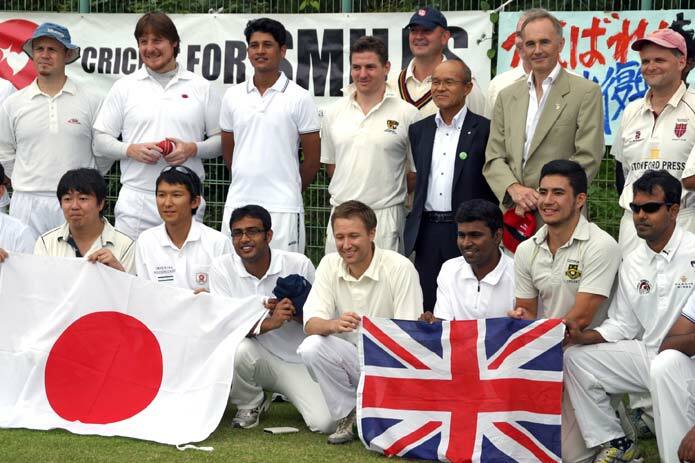 A team from the British Embassy Tokyo played a match against a team drawn from Tohoku in the town of Minamisoma, Fukushima Prefecture, on 7 September. 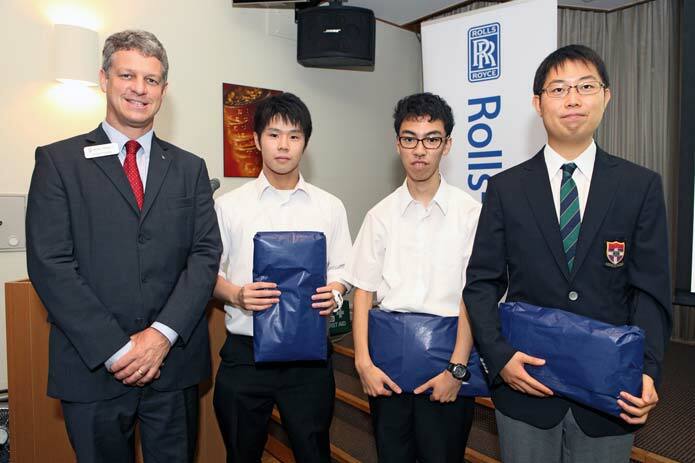 Thirty students and teachers from nine high schools in areas affected by the March 2011 earthquake and tsunami have taken part in a science workshop at Cambridge University. Diversity and Inclusion—Where to Start? The pay-off of sourcing the best people with different perspectives is increased creativity, innovation and an improved ability to meet the needs of clients. 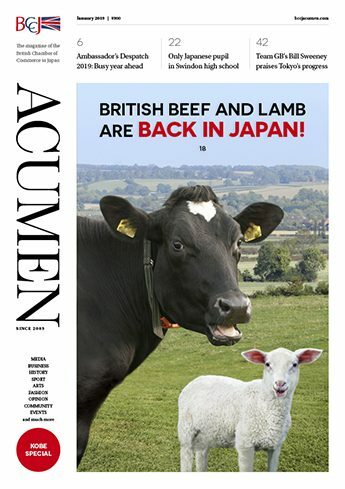 Anyone who has spent time in the UK recently will agree that huge strides have been made across the board in the quality of food being served. 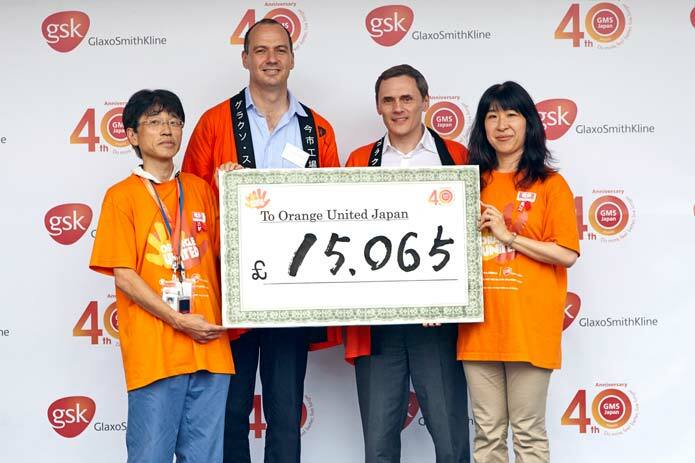 GlaxoSmithKline (GSK) plc has teamed up with non-profit organisation Save the Children to help 1mn of the world’s poorest youngsters survive by improving their access to healthcare and nutrition. Inspired by the international man of mystery James Bond, the Shine On! Kids eighth annual extravaganza drew over 250 guests. Sometimes a particular book speaks to you in a personal way. 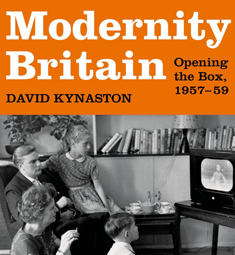 So it is for me with this, the third volume of historian David Kynaston’s Tales of a New Jerusalem. 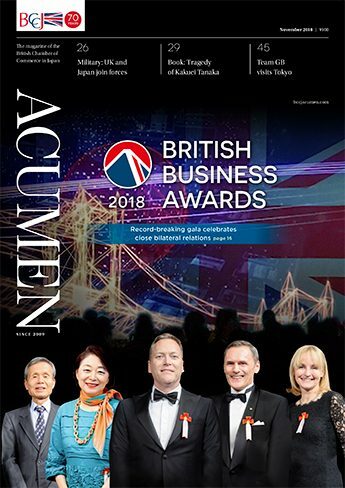 With just days to go before the 2013 British Business Awards (BBA) on 1 November, BCCJ ACUMEN put the six judges on the spot to find out what matters most in nominations. 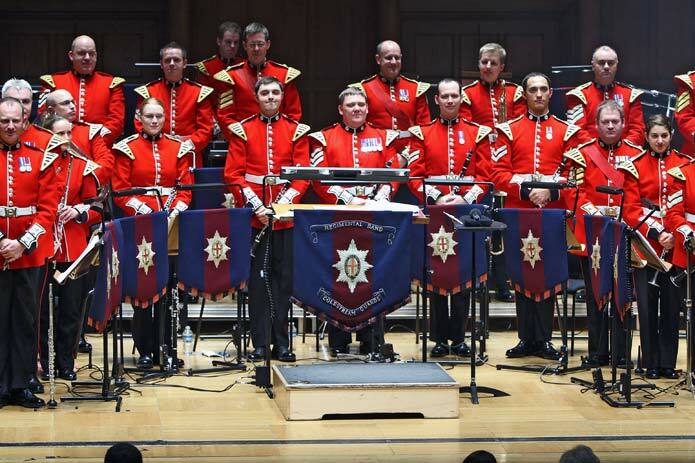 As Japan and the UK celebrate 400 years of ties, a stalwart force in Britain’s musical culture is observing over 200 years of service to the Crown.